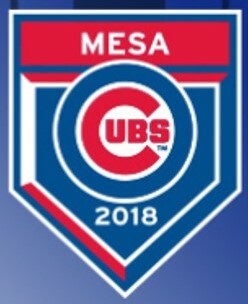 I must admit, I was a little excited throughout the day to see if the Cubs 1 team could win the Arizona League championship for what would basically be the second straight season. When I saw the Jesus Tejada was pitching, I thought the Cubs would have a solid chance to get back-to-back titles. Things did not exactly go very smoothly in the first inning for Tejada but he was able to pitch out of trouble and leave 2 runners on base. In the bottom of the inning, things went the Cubs way. Two walks and a hit by pitch loaded the bases for Alexander Guerra. Guerra cleared the bases with a double. A 3-0 lead was a nice start! The Dodgers gained one back in the third. In the fifth, Tejada ran into some trouble. He left the game with two outs and the bases loaded. Chi-Feng Lee came in and gave up a triple to clear the bases and another run came across later on a wild pitch. All of a sudden, the Dodgers were up 5-3. The Dodgers added one more in the eighth after a throwing error to make it 6-3. The Dodgers scored 6 runs on the night, only 1 was earned. Such is the Arizona League. Cubs 1 just could not get anything going. For the first seven innings, they only managed 8 base runners and only 4 of those came after the first. After Dalton Hurd lead off the 8th with a double, he still could not get across the plate with the heart of Cubs 1’s order at the plate. In the bottom of the ninth, the Cubs staged a rally that put two runs on the board. However, the rally fell short with the tying run on third. 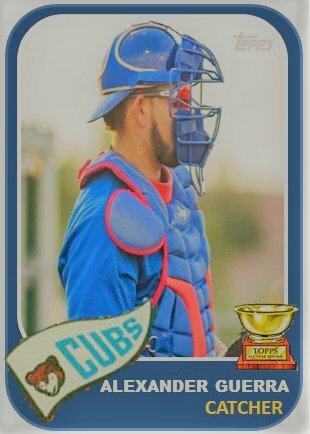 Overall, it was a very successful season for the Cubs 1 rookie league team. I will have a season recap at a later time that will analyze several of the prospects and how they could impact the system in 2019.